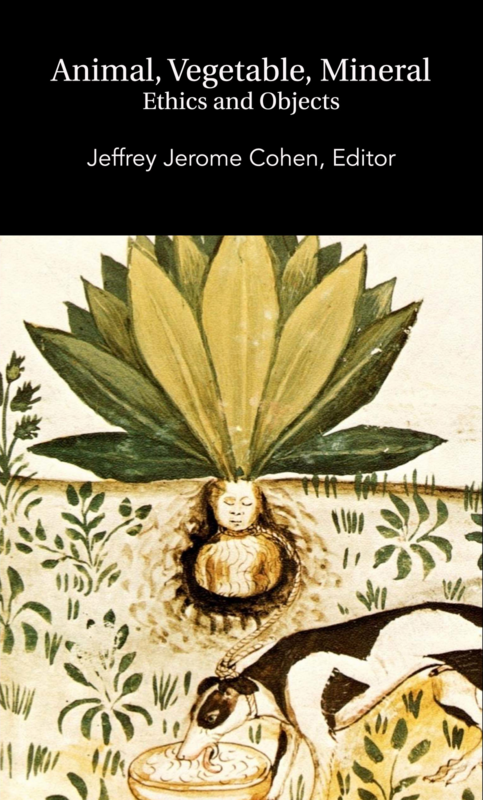 Animal, Vegetable, Mineral: Ethics and Objects, ed. by Jeffrey Jerome Cohen, Oliphaunt Books, 2012. "Animal, Mineral, Vegetable examines what happens when we cease to assume that only humans exert agency. 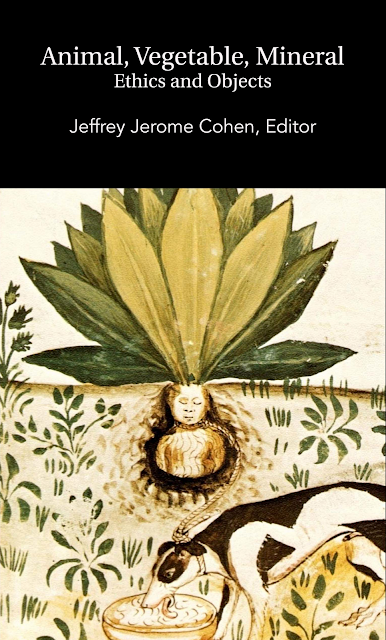 Through a careful examination of medieval, early modern and contemporary lifeworlds, these essays collectively argue against ecological anthropocentricity. Sheep, wolves, camels, flowers, chairs, magnets, landscapes, refuse and gems are more than mere objects. They act; they withdraw; they make demands; they connect within lively networks that might foster a new humanism, or that might proceed with indifference towards human affairs. Through what ethics do we respond to these activities and forces? To what futures do these creatures and objects invite us, especially when they appear within the texts and cultures of the “distant” past?